You may have seen that we already have the classic Fingerling Monkey; last year’s must-have Christmas present. We managed to find one on the shelves in Tesco when everywhere else had sold out and couldn’t resist. With a certified winner on their hands, it is no surprise that the toy maker Wowwee then decided to run with the idea and expanded the Fingerlings range which already includes Untamed Raptors and t-rex fingerlings, sloths and unicorns! 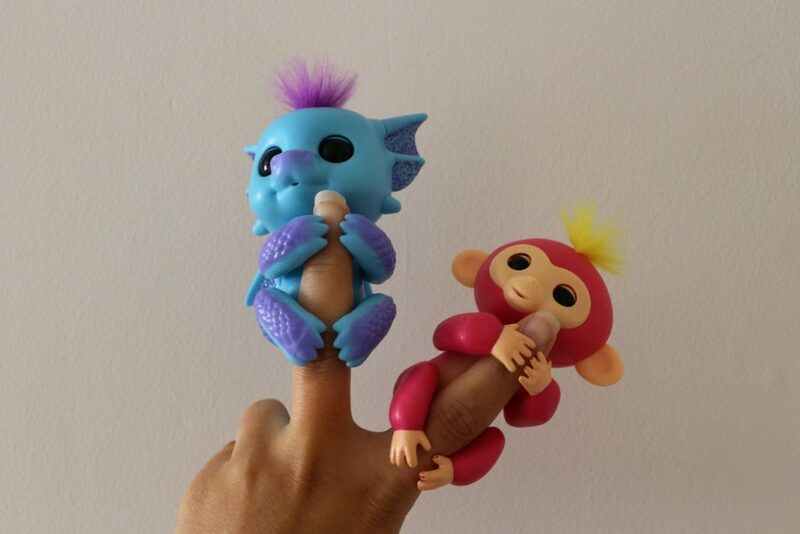 The interactive Baby Dragons are the latest addition to the Fingerling range. 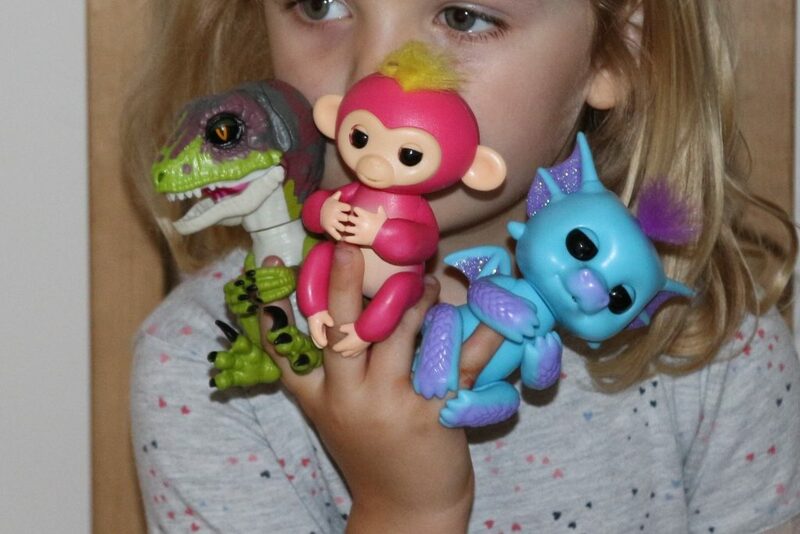 There are four different Baby Dragon Fingerlings; a pink one with blue glitter called Sandy, a blue one called Noa and a purple and pink one called Kaylin as well as Tara, a blue and purple baby dragon Fingerling which we were sent to review. They’re very cute and friendly little dragons; the opposite of the ‘scary’ Untamed dinosaur fingerlings. 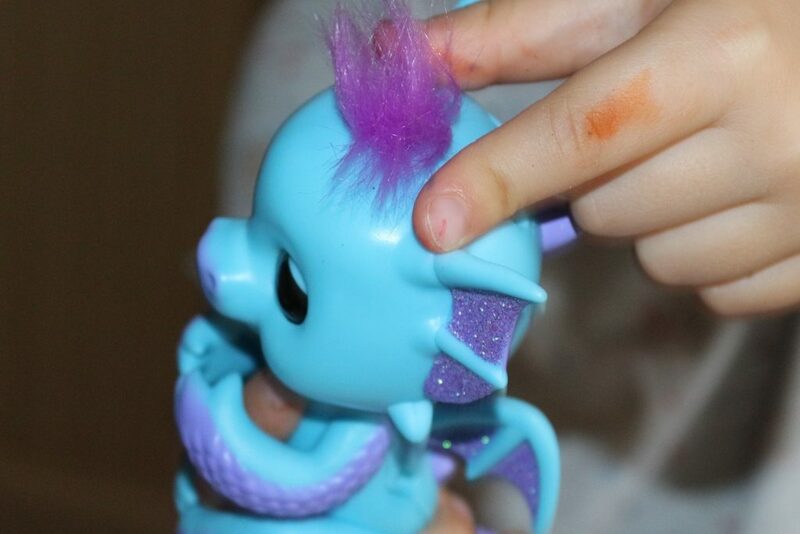 The Baby Dragon Fingerlings will appeal to young children like my daughter who go for anything with sparkles. Made to fit on your finger (or that of a child’s really, but they will fit on yours too! ), the little dragons all have glittery wings, tail and neck frills and a cute tuft of hair on the top of their head. They’re similar to the classic Fingerlings Monkeys with the same body but a less bendy tail, bigger head, more detail and they are also slightly louder in volume. 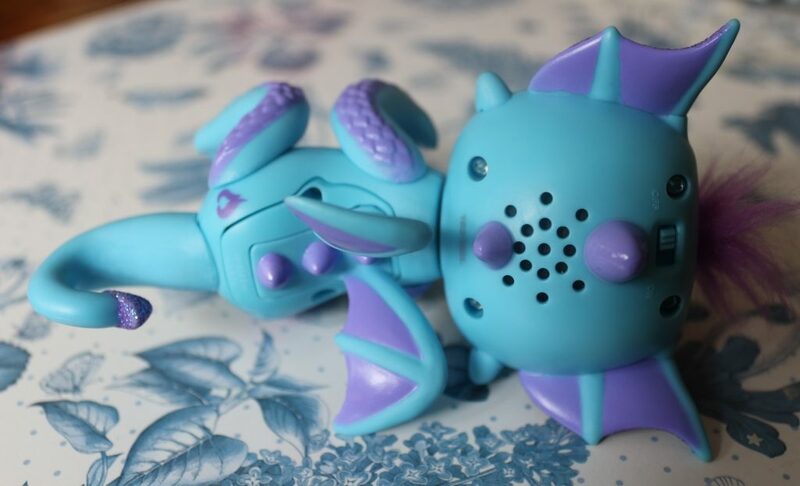 Oh and rather than cheeky monkey noises, they make snuffly baby dragon noises! What do the Baby Dragons Fingerlings do? There is an on/off switch at the back of their head which turns them on, and they make cute little purring noises and interact with you whilst moving their head from side to side and blinking. You can shake them, blow at them, clap to activate the microphone sensor, and stroke or tap the two head sensors either side of their hair to elicit different reactions. As with the other Fingerlings, if you hold them upside down and cover the sensors on their head for two seconds they’ll burp; if you hold them the right way up while covering the sensors it’ll fart. Who wouldn’t want a farting baby dragon? Laid down and cradled they will shut their eyes and go off to sleep! If you leave them unplayed with but switched on they will make cute noises and sing to themselves for about five minutes before going into sleep mode. We’ve had various Fingerlings for 7 months now and although I wouldn’t say they’re a firm favourite, they do get brought fairly often and the children do enjoy playing with them for maybe half an hour at a time. They like to watch them chatting to each other. 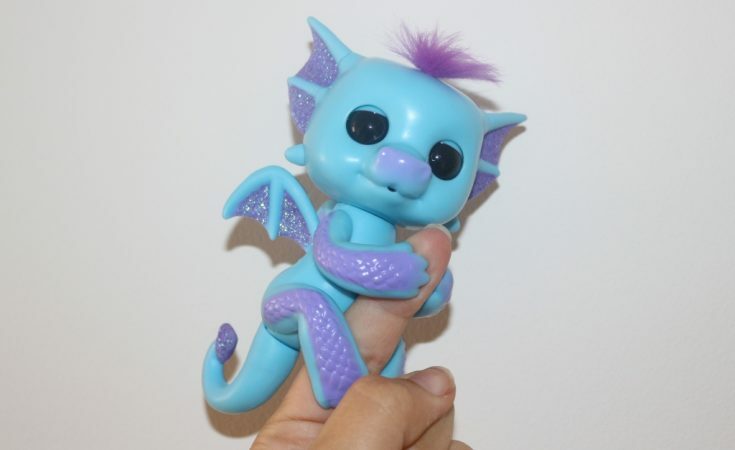 If you don’t have a Fingerling pet, then the new Baby Dragons are very cute and they make some very sweet little noises, including singing and puffs of smoke. Personally the Untamed Raptors are still my favourite of the Fingerlings I’ve tried; the sound comes out of their mouth which opens and closes and the two modes (tamed and untamed) adds a bit more fun. However my daughter is most definitely not into dinosaurs and preferred the cute baby dragon. The Baby Dragon Fingerlings are aimed at children aged 5+ but my three year old enjoys playing with him and has no problem getting him to work. (Although his favourite is also the dinosaur!). They’re very responsive and react like they’re supposed to do. The Baby Dragon Fingerlings have an RRP of £16.99 each and can be bought from Smyths here. You can now buy the Fingerlings Monkey from almost anywhere with an RRP of around £14. You can WIN your very own Fingerlings Baby Dragon! 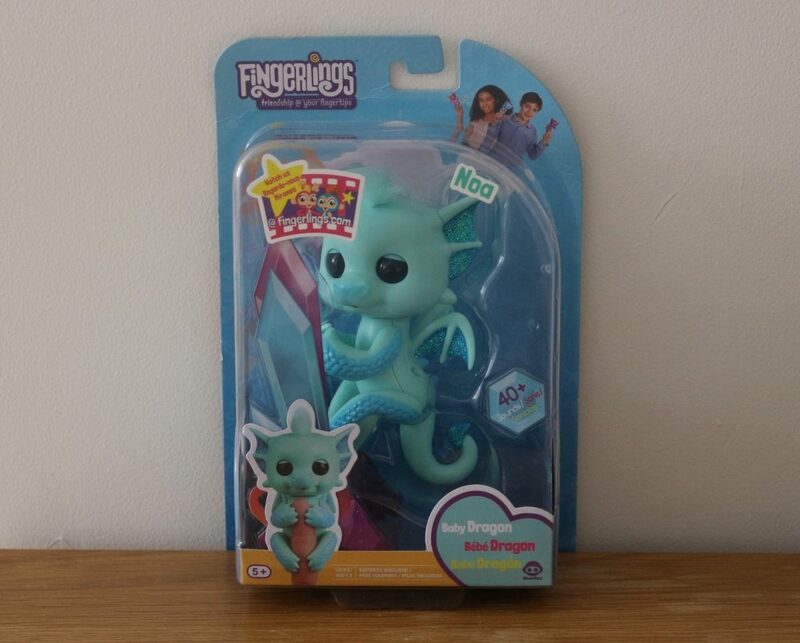 I have a Baby Dragon Fingerlings ‘Noa’ to give away! 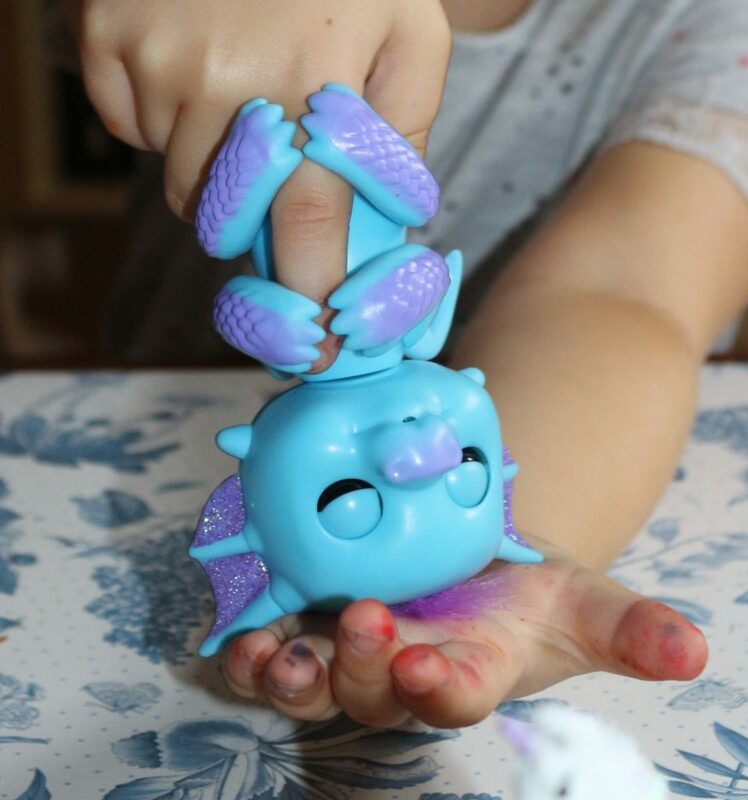 WIN a Fingerlings Baby Dragon! 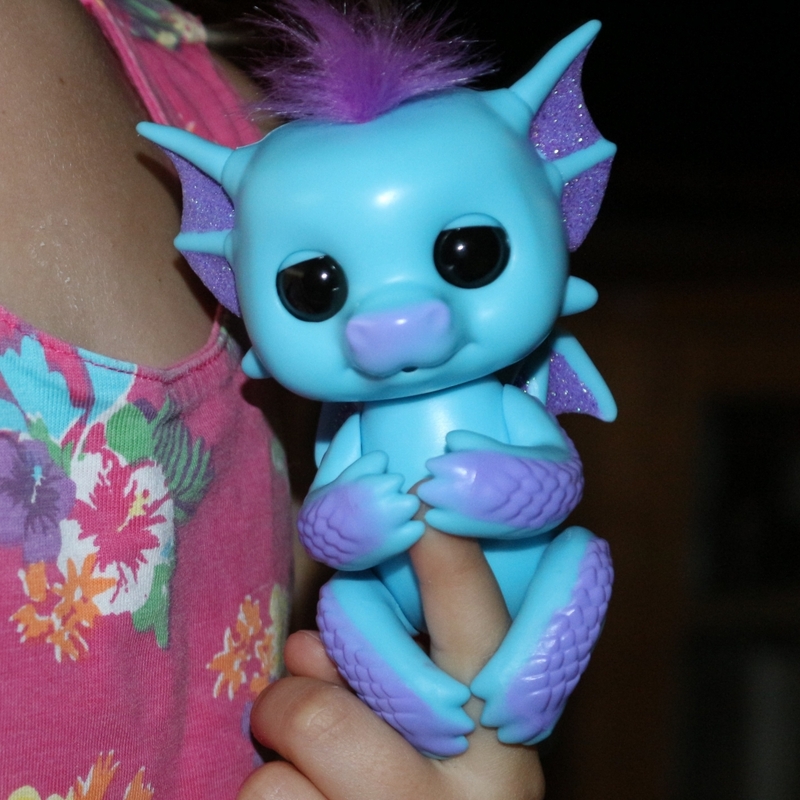 We received this Fingerlings Baby Dragon free for the purposes of this review but words and pictures are my own.